Med stor sorg och saknad måste vi tyvärr meddela att Bo, den 6/8 2018, lämnat jordelivet efter en lång tids sjukdom. Älskad och saknad av många. Vila i frid! Insättning görs till Generalsekreterare Magnus Hansson. Vänligen märk din insättning ”Bo Munthe Minnesfond”. Payments are made to our General Secretary Magnus Hansson. Please mark your payment with ”Bo Munthe Memorial Fund”. I have now decided that the successor of Shodai Soke Bo F. Munthe martial arts legacy, and more specifically Mute Jinen Ryu, will be Magnus Hansson. This implies that Magnus Hansson will become Nidai Soke for Mute Jinen Ryu. 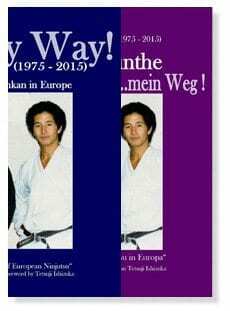 Magnus Hansson will also continue the practice of Edo Machi Kata Taihojutsu. This decision is valid from September 24, 2018. This decision is according to Bos requests and wishes! 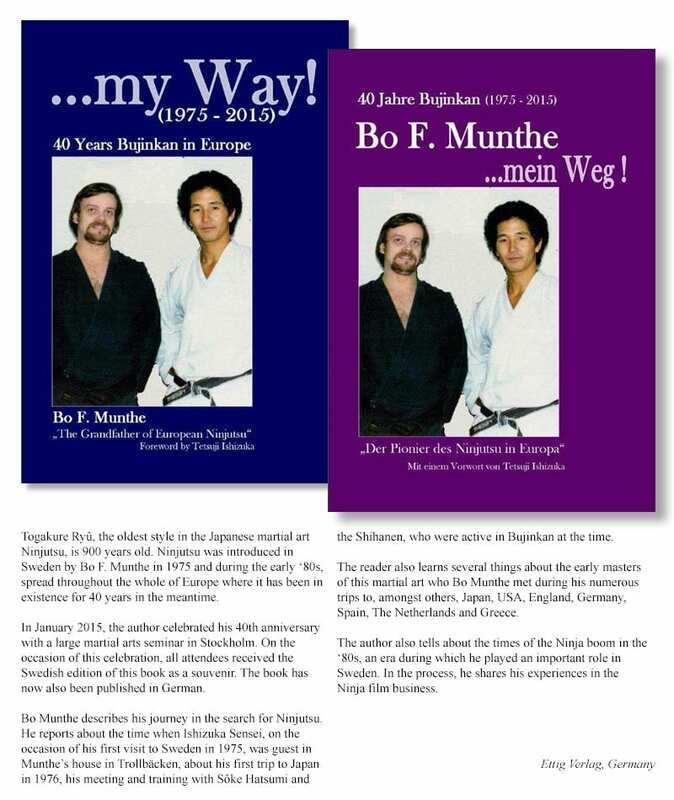 The book about how Bujinkan and Ninjutsu entered Europe 40 years ago is published. It is the true story how I and Ishizuka sensei met for the first time 1975, and 40 years later 2015.